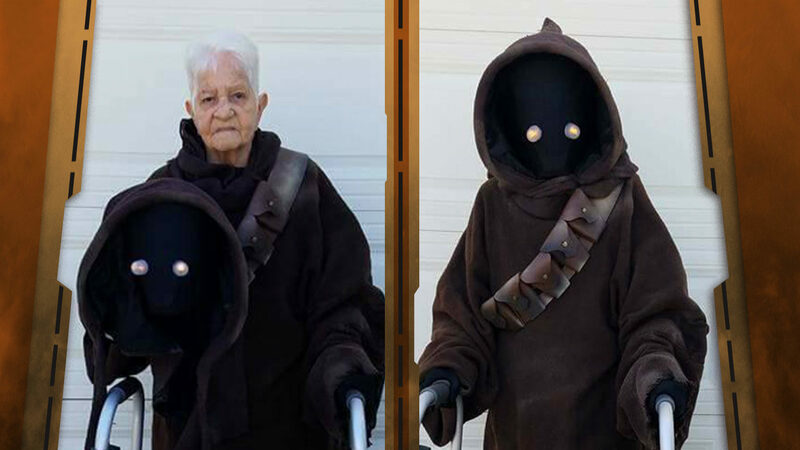 StarWars.com talks with a Star Wars cosplaying family, including Mercedes Rentas Gelabert -- the oldest member of the 501st Legion. 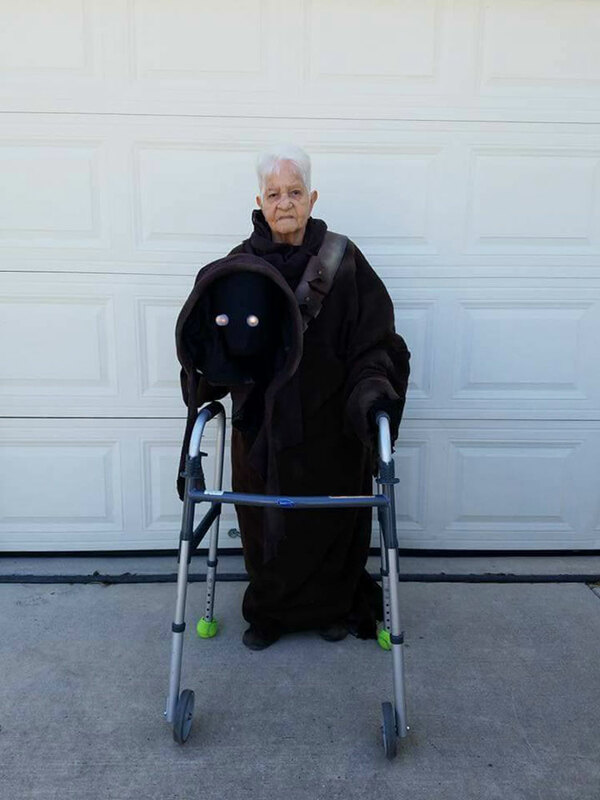 At 90 years old, Mercedes Rentas Gelabert has the distinction of being the oldest member of the 501st Legion, proudly donning her Jawa costume walker and all. 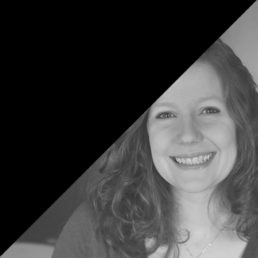 But her recent acceptance into the group as a petite scavenger scrapping to survive comes as no surprise to her family. 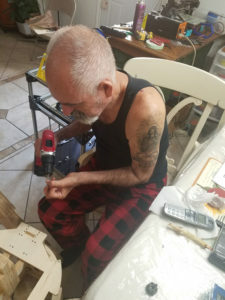 Grandson Carlos Ramossanchez says his maternal abuela has always been a kid at heart, helping to raise Carlos and his twin sister, Yadira Ramos, when the family moved to San Antonio, Texas, from Puerto Rico. At just 11, the twins knew very little English, so it was Mercedes who helped them with their homework and shepherded them to Little League practices, he says. She would also join in during their playtime antics, getting on the floor to color with them or dancing around to their favorite records. Decades later, not much has changed. 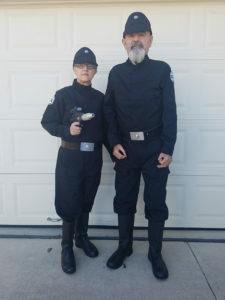 The tight-knit family still does almost everything together, Carlos says, and the twins and their parents have all become active in the 501st Legion since Carlos joined in 2016 and promptly started drafting others to participate. 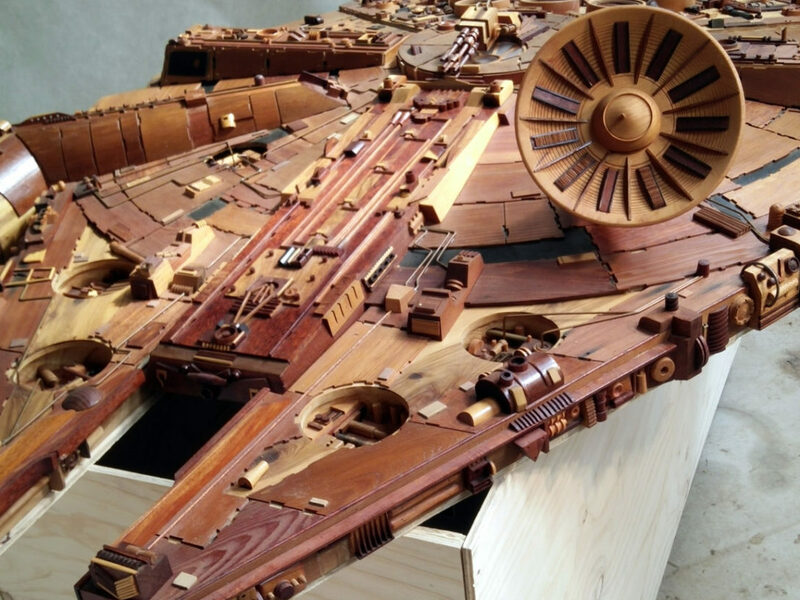 Playtime figured in to Carlos’ earliest memory of Star Wars, when he and his siblings were gifted the entire spread of galactic toys from the Spiegel catalog one Christmas — including the coveted Millennium Falcon. But he doesn’t remember seeing one of the films until Return of the Jedi debuted in theaters. But the transition from Ewok fan to Jawa cosplayer was decades in the making. Carlos heard about the 501st Legion just as they were starting up 20 years ago, but at the time he was a young man in the Air Force, raising a family that would eventually have three daughters, and he didn’t have the time or the money to join up right away. 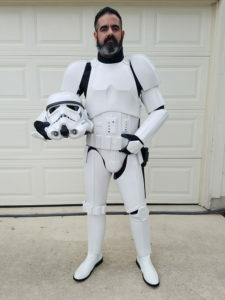 He joined up with the 501st soon after, although nerve damage to the right side of his body, a degenerative disc disorder in his back, and other issues make it difficult for Carlos to stay in costume for long periods of time. 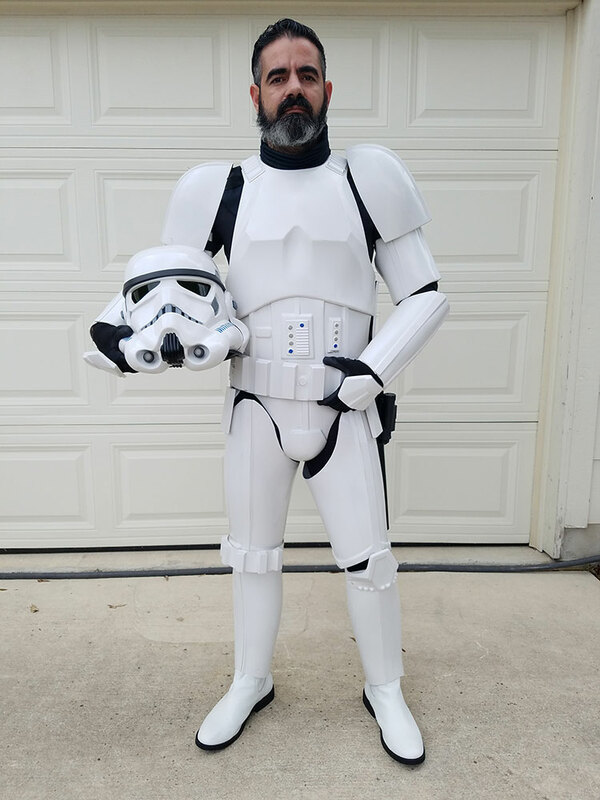 Still, Carlos wanted to join the 501st. 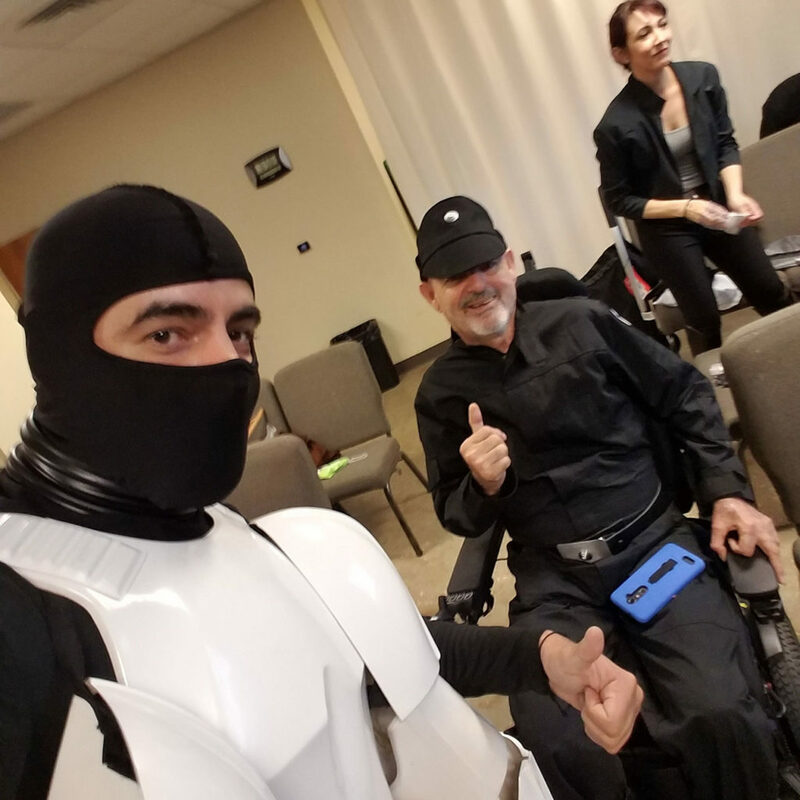 Beyond the excitement of becoming a human action figure, he loved the way children and even adults interacted with the stormtroopers and other characters, pausing at special events for a hug and a photo op. It was his father’s health problems that first brought the family to Texas, Carlos says, as they sought the best care for the ex-Army man. 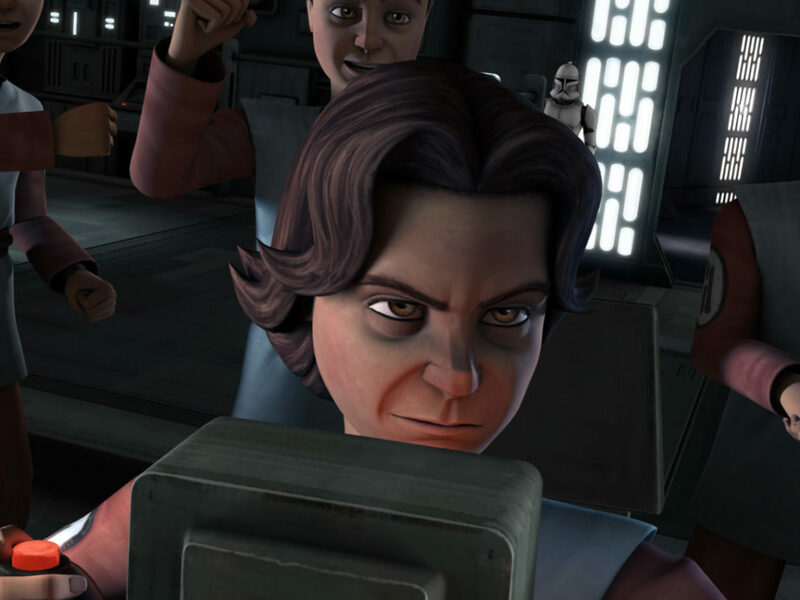 Even now when he’s out trooping in his Imperial crewman’s uniform, his father uses a scooter to help him get around. 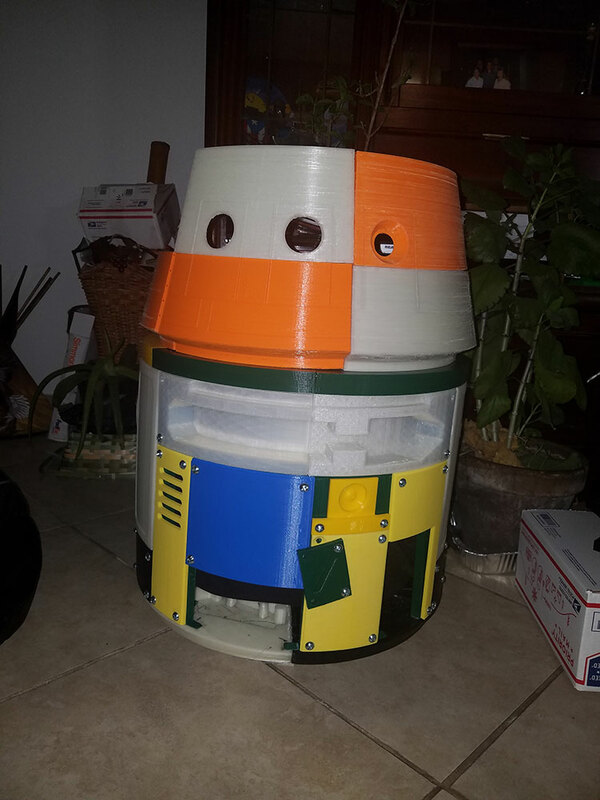 Carlos’ father was the first family member to get involved, but his mother, Adela quickly joined up, too, after watching fans mob the 501st cosplayers until 2 a.m. at a toy release for The Force Awakens. Then his sister wanted to take part. Her one stipulation — a lighter costume that would be easier to move around in in the Texas heat. 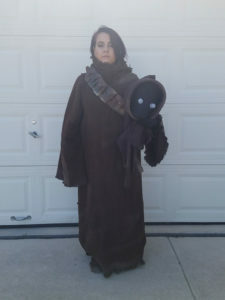 The Jawa costume builds were fairly inexpensive, Carlos says, even with the group’s requirements for authentic fabrics and screen-accurate details. 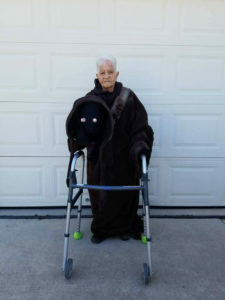 The other Legion members have always been willing to lend their expertise to his family whether it was finding the perfect outfit for his disabled father or figuring out how to make a cloak that would look right at home scurrying out of a Sandcrawler. That even goes for the mask, a breathable mesh covering with glowing yellow eyes. “Believe it or not, it’s not that hard,” Carlos says. 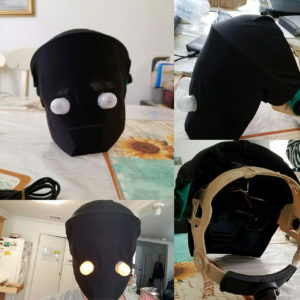 A plastic hockey mask, purchased on sale for $3 after Halloween, and a hard-hat liner make up the base, with holes drilled into the mask to house two LED lights. A piece of black speaker cloth finishes the look. With the boots, gloves, and a special utility belt purchased online, each Jawa came to life for under $120, Carlos says. They even have speaker bots that tuck into the robes. 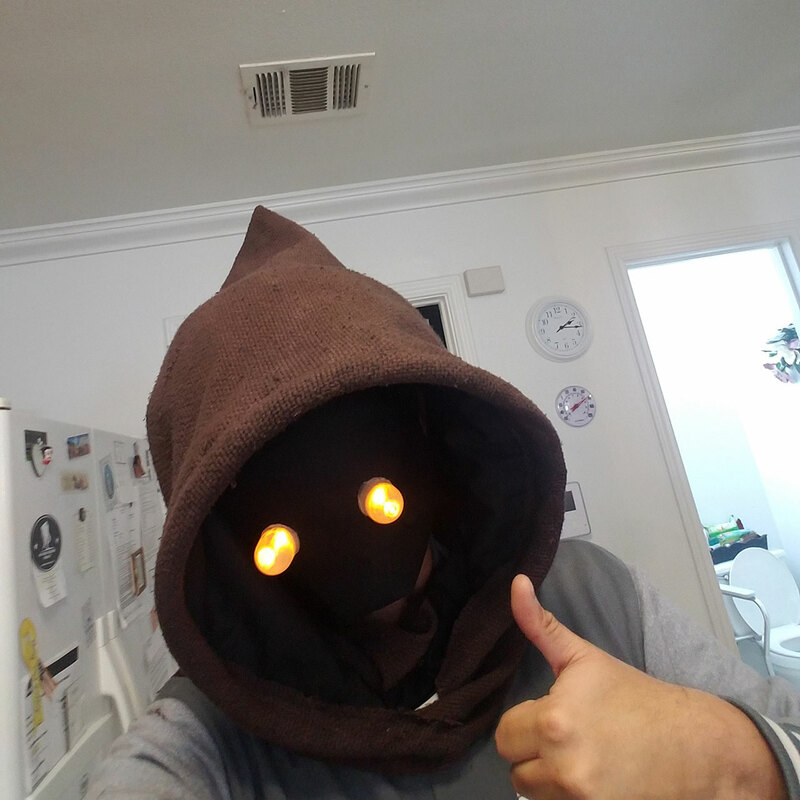 Utinni! Beyond costuming, the family also dabbles in prop building, with nine 3-D printers toiling away to create the parts for first an R2 unit followed by a BB unit. 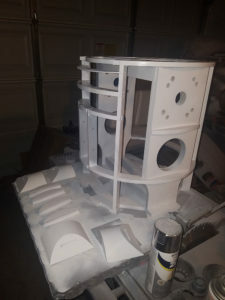 The hobby builds, part of what Carlos affectionately calls “The Bored at Home Team,” are another way for the family to share their excitement for Star Wars, working on projects when their health allows. 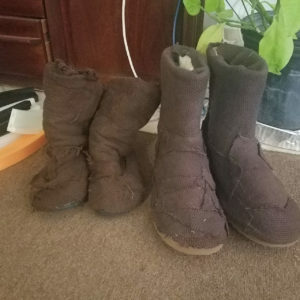 And he has plans to make two more Jawa costumes for his parents — Carlos already has his own along with several other 501st-approved ensembles — so all five family members can hit the sand dunes looking for droids they can sell to unsuspecting moisture farmers. Yoda, because of his knowledge and charisma. I skipped class from college to see it when it came out in Puerto Rico. 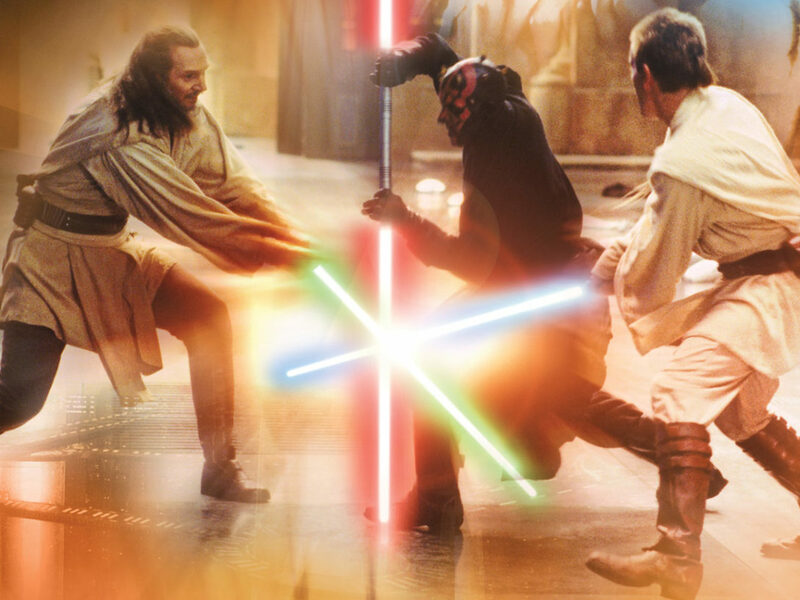 In Empire Strikes Back when Luke begins training with Yoda. Princess Leia, because it shows how women can lead and be strong role models. Buying the action figures for my children when they were first released in Puerto Rico. Anything Yoda was involved in because I found him to be intellectual. 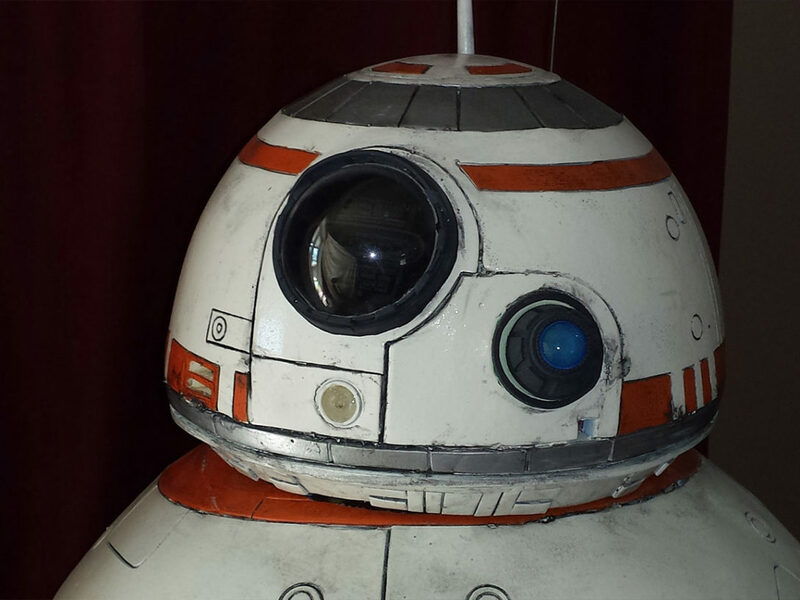 BB-8 because I love the way he rolls around in the films and he is funny! The Force Awakens, because it brings back our old familiar heroes and introduces new characters and a strong female lead. Playing with the toys we received as kids. 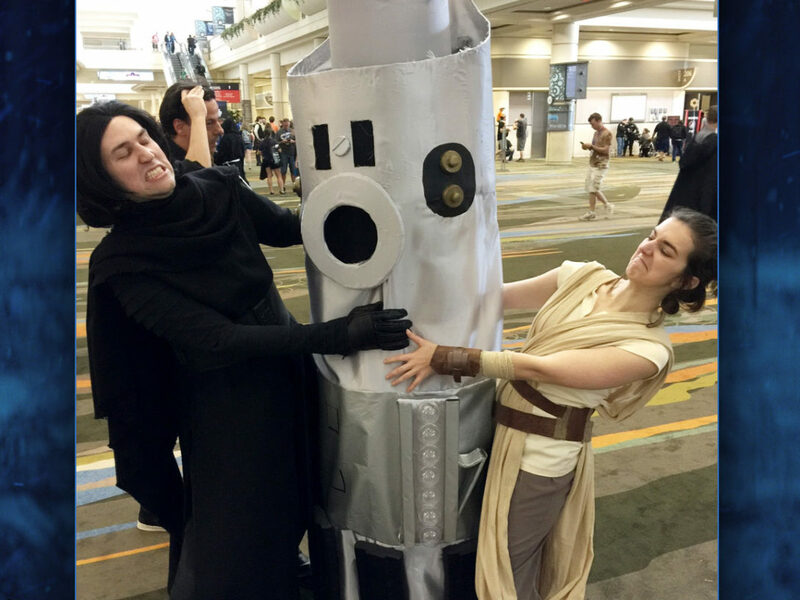 When BB-8 gives a thumbs up to Finn. 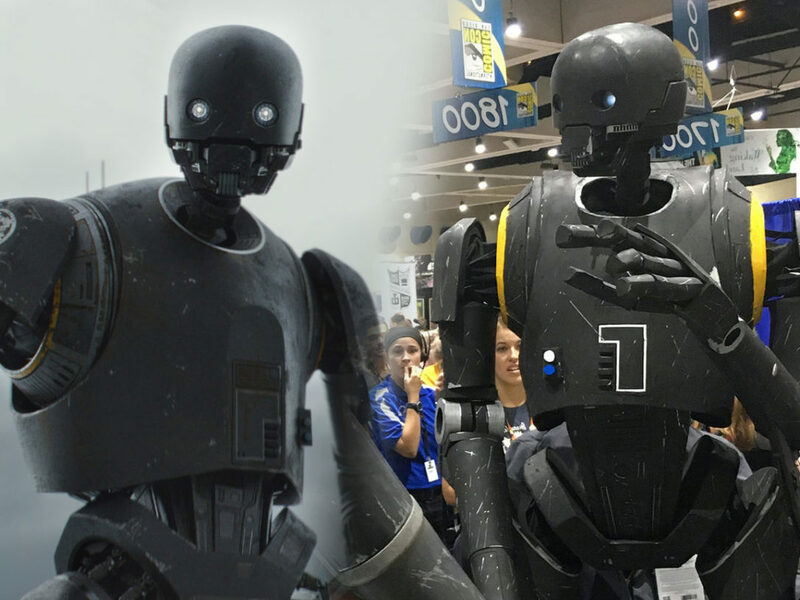 It’s something you never would expect from a droid. I always wanted to be Han Solo as a kid, but I was always fascinated with the Stormtroopers. 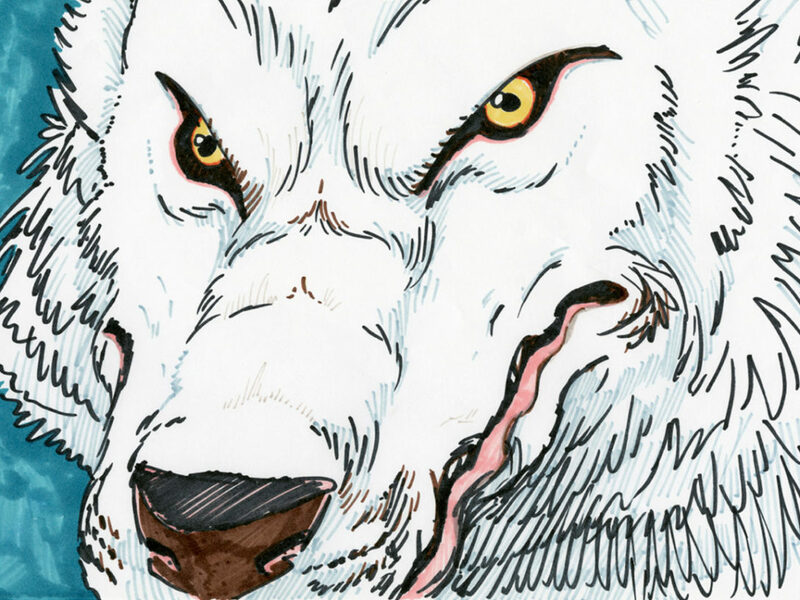 The Empire Strikes Back. 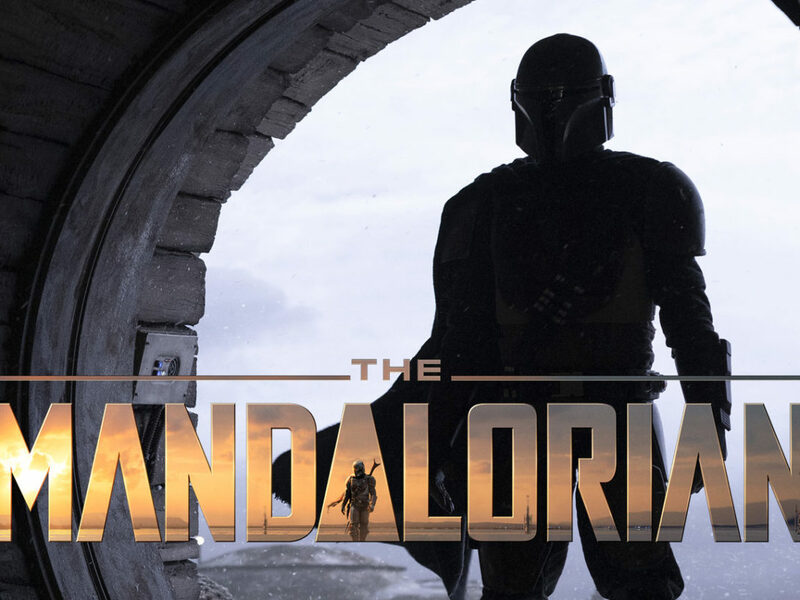 It has so much information and development of characters — the struggle the heroes go through and the way the Empire is focused on their discovery. Receiving toys from the line and, although I never saw A New Hope or Empire in the theaters, I remember going to the movie theater in Puerto Rico to see Return of the Jedi with my entire family! I used to say my favorite scene is when Darth Vader showed up in A New Hope with the stormtroopers to capture the plans, but after seeing Rogue One, the scene at the end is so much more intense. That has become my favorite scene. She is a fan of the movies mainly due to her grandchildren being fans. Return of the Jedi. She thought the furry bears were cute and funny. Going to see Return of the Jedi with the grandkids at the theater in Ponce, Puerto Rico. The Ewoks in the forest.